An absolute bargain at this price, the Roborock S50 Smart Robot Vacuum Cleaner comes with 2 in 1 Sweep and Mop function that lets you sweep the floor and even polish it using the devices mopping pad. Equipped with LDS (Laser Distance Sensor), the S50 is capable of scanning its environment 360 degrees, a whopping 1800 times per second in order to determine the interior of your home. 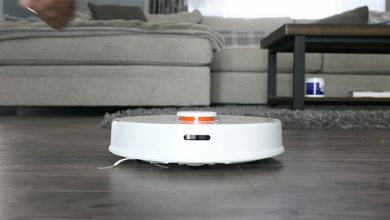 150 minutes of working is an impressive amount of time because the Roborock S5 powerful motor delivers 2000Pa of suction power Along with a laser located on top, the robot is equipped with the SLAM algorithm that helps to create a map of your house and then builds the most efficient way of cleaning on its own This technology allows the machine to work in the dark. 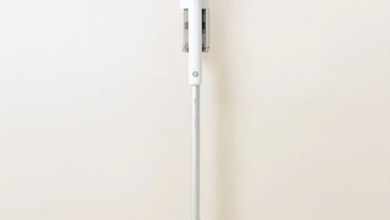 The mopping mode works about 45-50 minutes on one charge. The Roborock S5 is further equipped with a washable HEPA filter. The device performs well on carpeted surfaces and bare floors. The tangle-free design prevents hair from wrapping around the main brush and wheels. making the robot perfect for pet and long human hair. It can easily climb obstacles or thresholds up to 20mm. There is also intelligent carpet identification that turns on maximum suction power once the machine recognizes carpeting. The device performs well on carpeted surfaces and bare floors. The tangle-free design prevents hair from wrapping around the main brush and wheels making the robot perfect for pet and long human hair. It can easily climb obstacles or thresholds up to 20mm. There is also intelligent carpet identification that turns on maximum suction power once the machine recognizes carpeting. This is also where you can access your cleaning history, view how long the various vacuum components have until they need to be cleaned or replaced and even access manual vacuum controls in the form of a virtual remote control or joystick. Roborock S50 Smart Robot Vacuum Cleaner is now avaialble on Gearbest For Just $429.99 on 34% OFF Flash Sale.